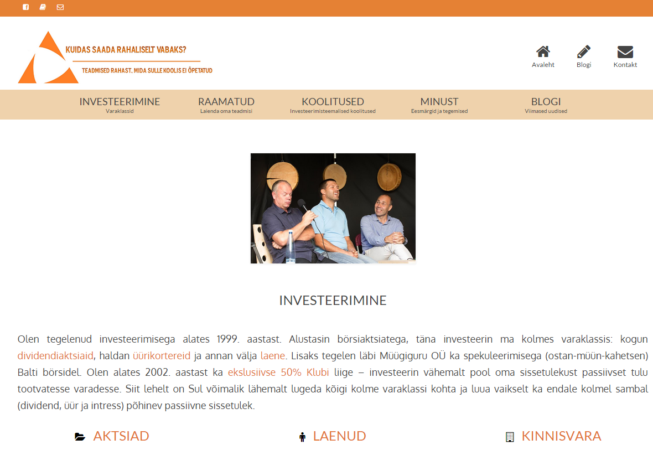 In this project, we helped a brilliant young investor, Jaak Roosaare, to supercharge his blog. This involved taking a simple wordpress.com blog and moving it to a private server. Also, we changed the user interface, added mailing list support and improved the user experience all-around. At PolarSnake LTD we do complex web-development projects – starting from strategic marketing plans and business intelligence all the way to databases and online marketing solutions. You have an idea – we can bring it to life!